We, the members of the IZZONE, Michigan State basketball's student section, would like to show our solidarity with the victims of sexual assault. We hope to raise money to donate to local charities that work to promote awareness and healing for sexual assault survivors. 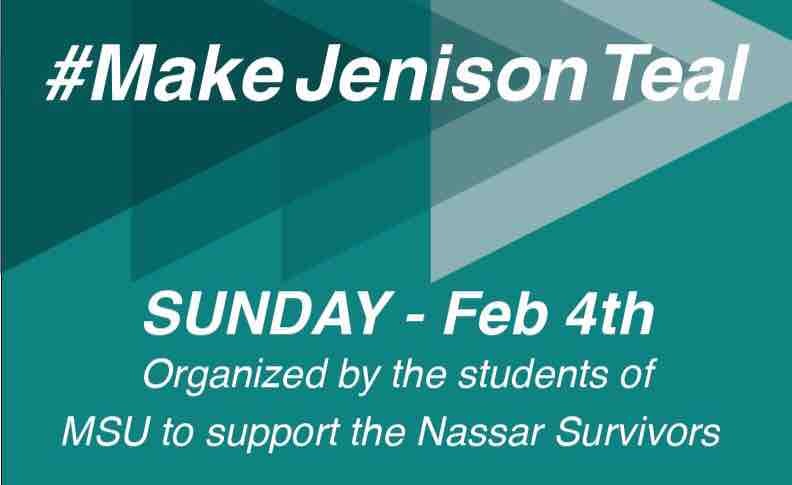 In the wake of the university's failure to properly address sexual assault issues in the wake of the recent Nassar scandal and in addition to our showing of solidarity for the victims by wearing teal to our next home game (This Friday 1/26), the color of sexual assault awareness, we the students wish to gather monetary support for local foundations. We plan to divide our funds evenly between our friends at the Sexual Assault Crisis Intervention Team of MSU ( http://endrape.msu.edu/volunteering/saci-e-board-sexual-assault-crisis-intervention/sexual-assault-crisis-intervention/) and the Firecracker Foundation ( http://thefirecrackerfoundation.org/) and donate the funds directly to them. Thank you for your support for this cause. It has been decided that we will leave this campaign open for another week, ending on February 14th, so if you know anyone that still would like to donate, that is the deadline. Upon the closing of the campaign, the Firecracker Foundation will receive all the money, which they will then pass on 50% of it to MSU SACI. 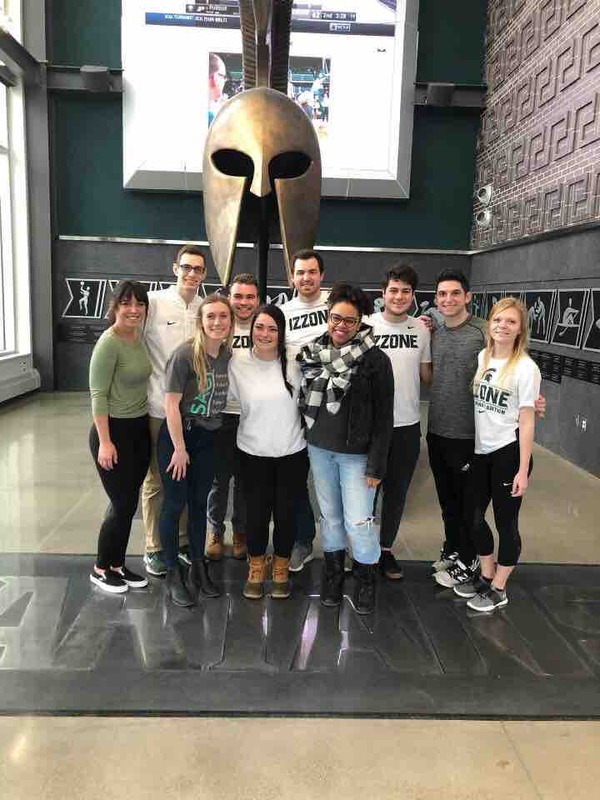 Today, members of the Izzone section leaders met with members of the MSU Sexual Assault Crisis Intervention Team as well as the Firecracker Foundation to officially end our campaign to deliver the checks and take a photo together. SACI told us that our donations will double their volunteer budget and the Firecracker Foundation will be able to provide dozens of therapy and healing sessions to survivors of sexual assault. None of us thought we would have raised $7,584 when we started this campaign, so thank you all so much for the support. With impacts like this, we can help solve the nationwide problem of sexual assault. Thank you all so much for your support. Here is an update to the Izzone For Awareness and Healing campaign. Thanks to all of your amazing support, we have gained more than $7,500 to be split between the Firecracker Foundation and MSU SACI. Leaders from both of these organizations have expressed their gratitude for the support. Please let anyone you know that wishes to donate that they have until February 14th to donate. At that point, we will end the campaign. Upon completion of the campaign, the money will be sent to Firecracker Foundation and they will handle the transfer of 50% of the funds to MSU SACI. On behalf of the IZZONE, I want to give you all an update on the IZZONE For Awareness and Healing campaign. We started with a goal of $1500 and before we knew it we had $5000 in two days. Outside of the game on Friday, Air Force ROTC volunteers collected $134 which will be added to this fund on Monday. The support has been very heartwarming and reaffirmed all of our beliefs that true Spartans will stand on the side of survivors and work to help our community heal after the scandal that has rocked our beloved university to its core. Although donations have slowed down the past two days we want to continue to keep it open for the time-being. With the new week starting, we will coordinate with the Firecracker Foundation and the MSU Sexual Assault Crisis Intervention Team on the best way to continue operating this campaign and a possible end date in the future. Thank you all so much for the support!!! It hasn't even been 24 hours and we are rolling towards our goal. At this point, we hope to smash through this goal and the sky is our limit. Thanks to all who have generously donated and thanks to whoever continues to help us in trying to make a positive difference for survivors of sexual assault at MSU and the Mid-Michigan area.